The Malo 37 combines spacious family accommodation with impressive performance, outstanding seakeeping and offshore comfort. ‘Betty’ has the optional ‘Classic’ transom which gives a counter stern and extra deck space behind the cockpit as well as a vast lazarette locker. She has been meticulously maintained and is presented in lovely condition as a lightly used example of this popular model. 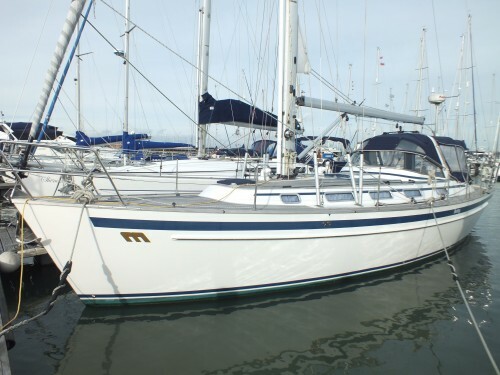 She is very well equipped for comfortable family or shorthanded cruising.